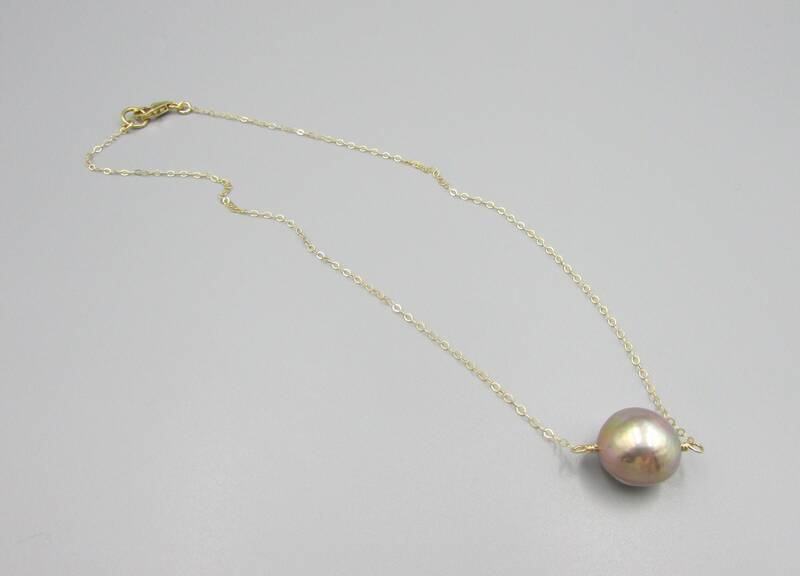 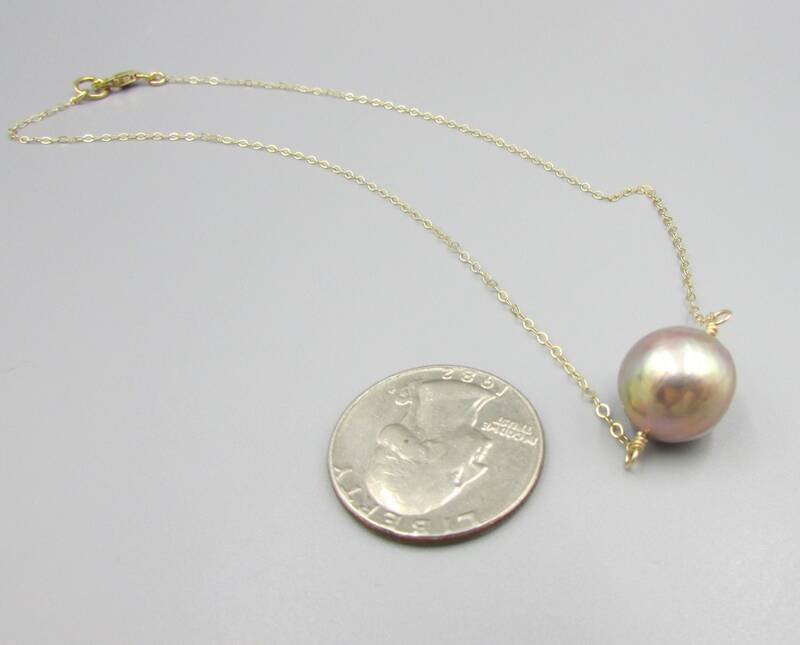 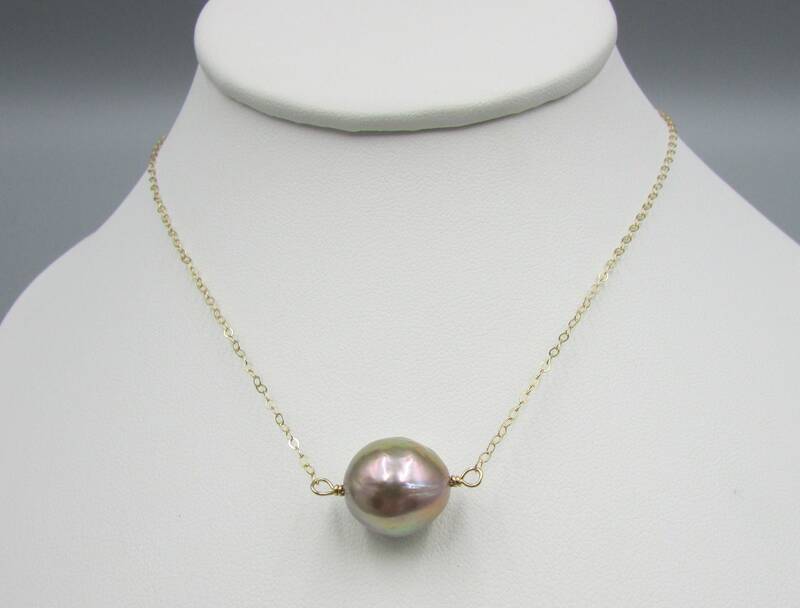 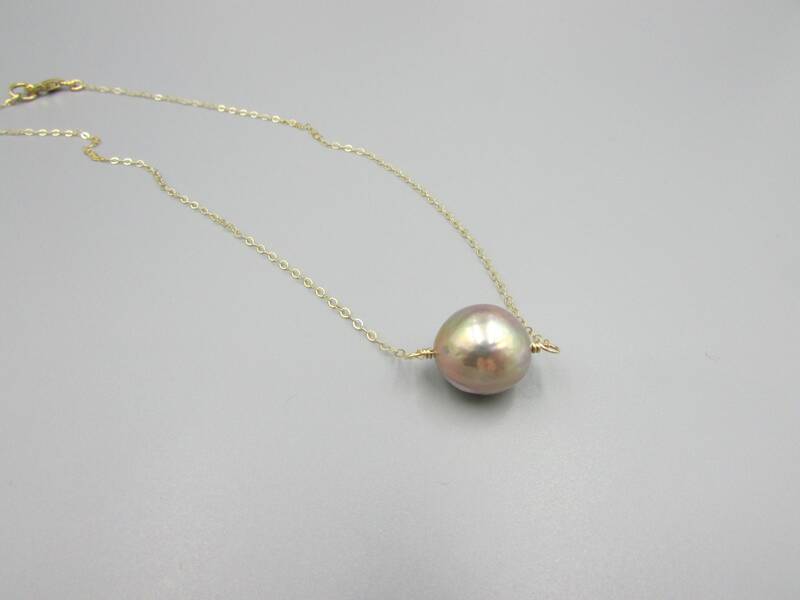 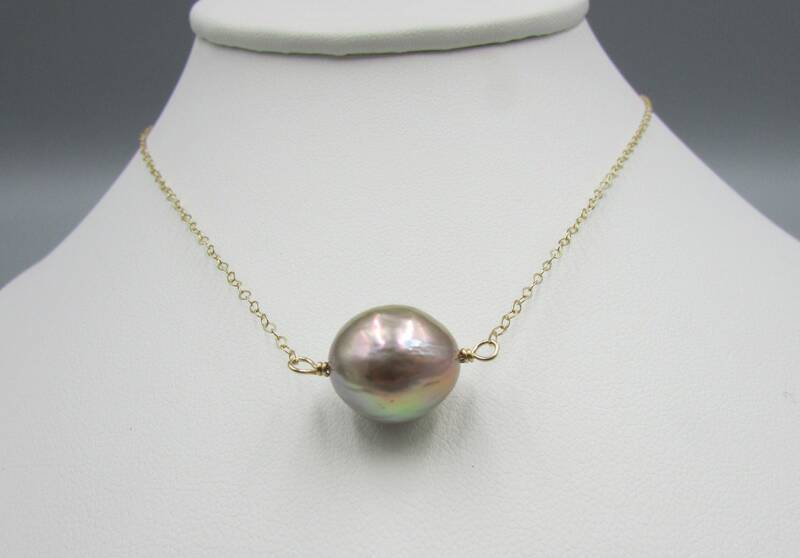 This beautiful pearl choker is created with delicate gold filled chain and a focal 12mm nearly round AAA Edison pearl with gorgeous shimmer and luster in shades of mauve, bronze and gold shimmer. 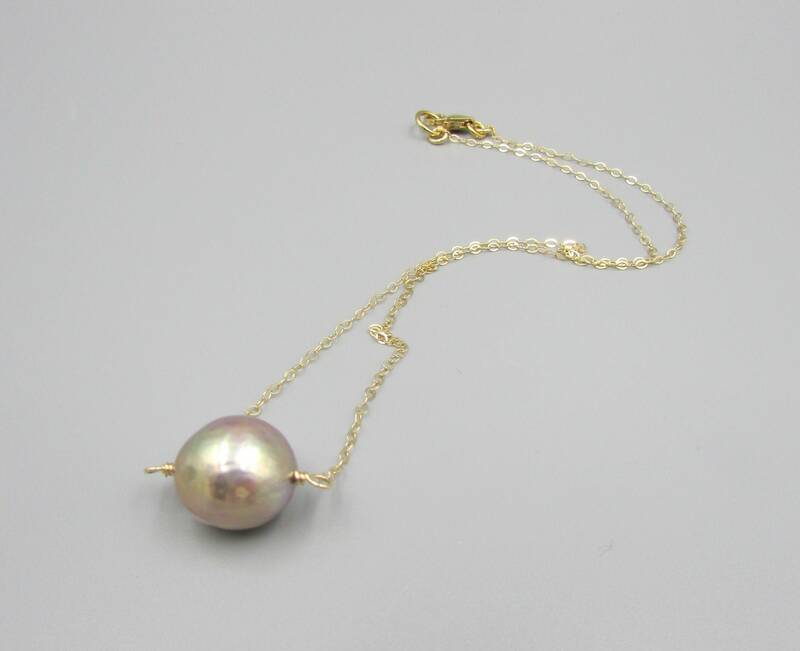 The pearl is smooth with slight ripples. 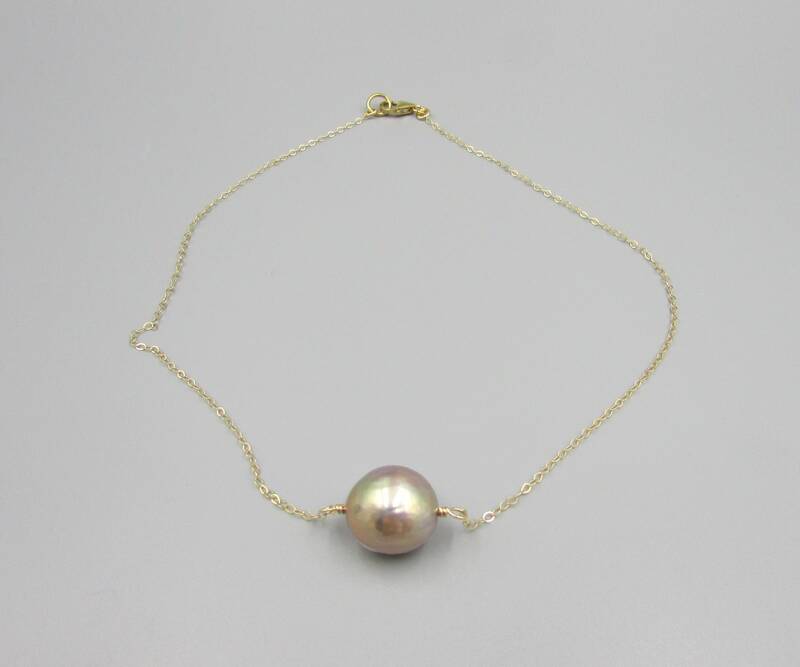 Length of choker is 15 inches. 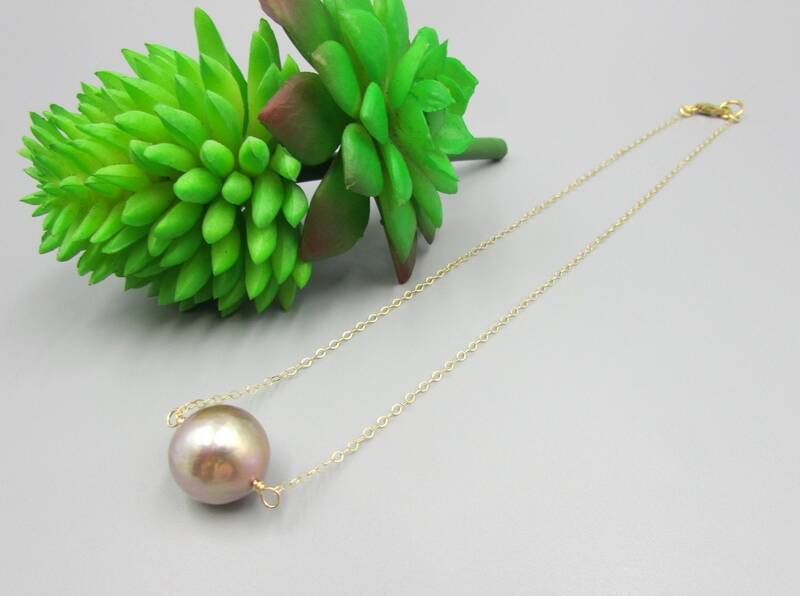 The perfect birthday gift or bridesmaid gift.